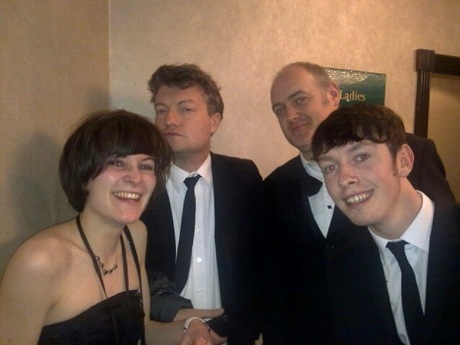 Charlie Brooker was presenting the award for the Best Game at the Video Game Baftas last night. There’s us all down there. Yes me and Gerald are blocking out the actually famous people who are genuinely struggling to be seen, that was just how it happened. In retrospect, we’d do it differently.